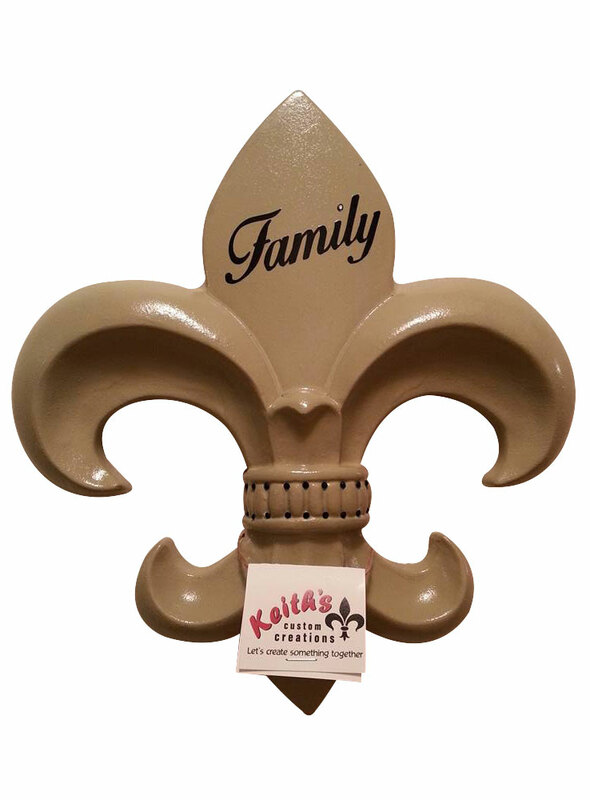 Fleur de Lis Wall Plaque - French Beige "Family"
This is a 3D Fleur de Lis shaped clock. It is hand crafted out of cured plaster of paris. Dimensions: 11.5" H x 11" W x 1.75" T.
Ready for wall installation with built-in hanger. Prepaired with sealer, primed and a protective coating. Includes (1) AA Battery.